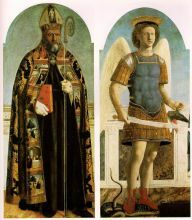 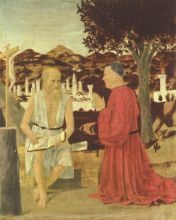 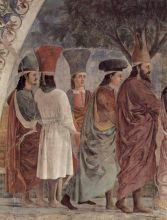 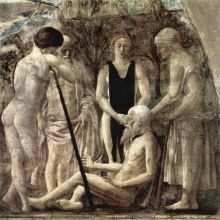 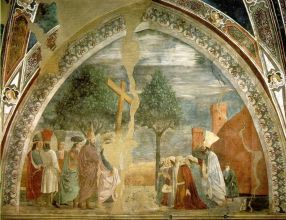 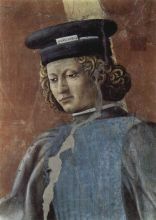 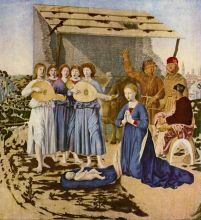 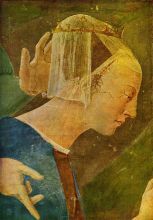 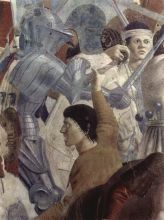 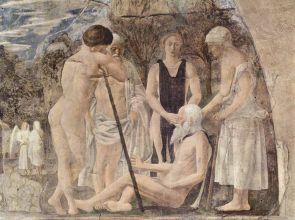 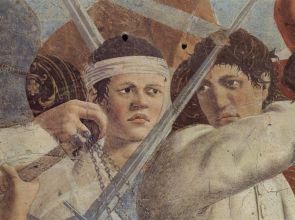 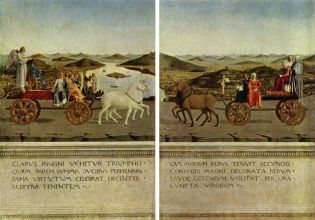 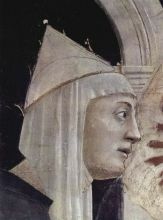 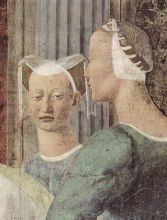 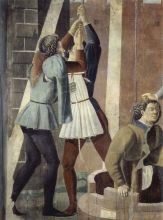 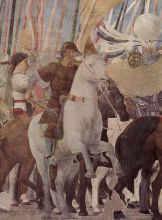 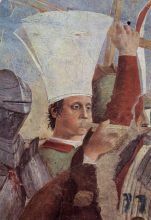 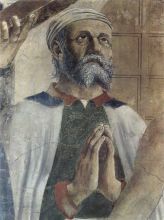 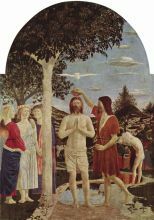 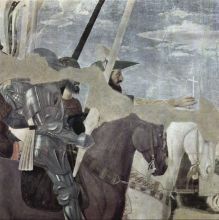 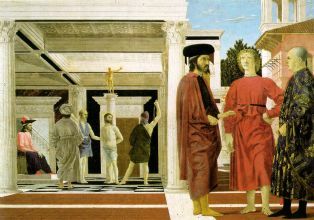 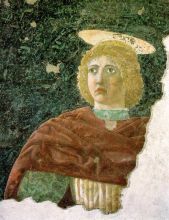 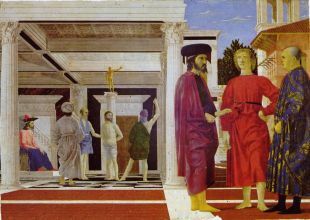 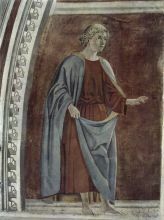 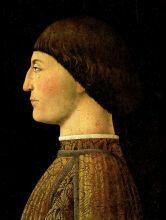 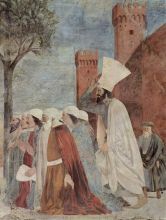 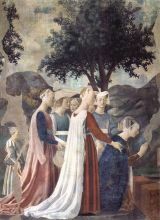 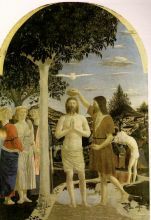 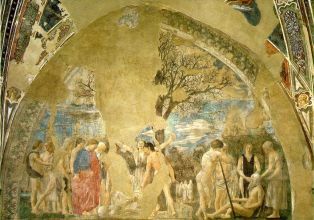 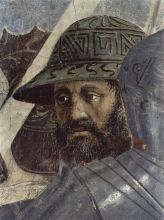 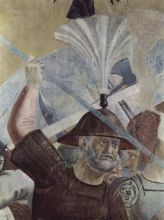 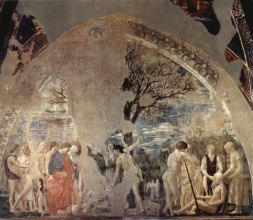 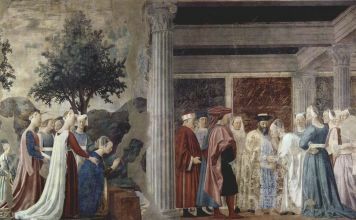 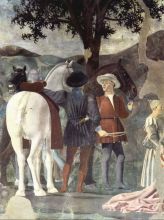 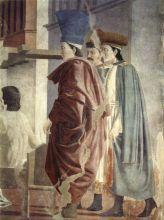 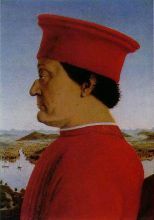 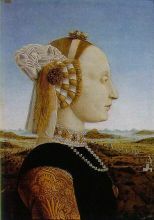 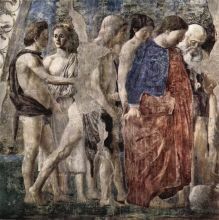 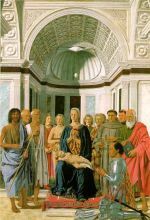 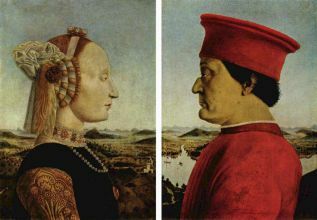 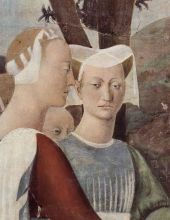 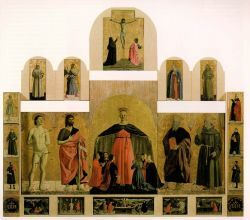 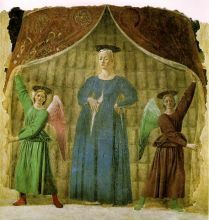 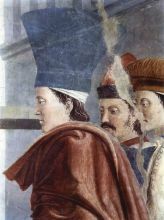 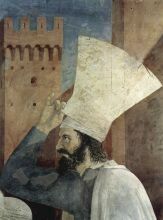 Piero della Francesca (c. 1412 – October 12, 1492) was an Italian artist of the Early Renaissance. 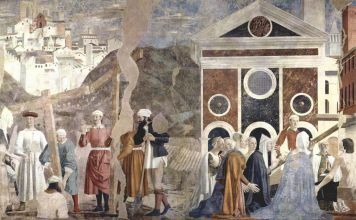 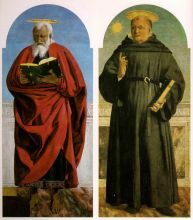 To contemporaries, he was known as a mathematician and geometer as well as an artist, though now he is chiefly appreciated for his art. 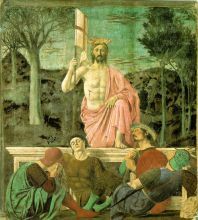 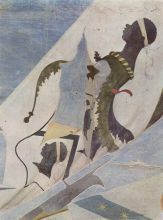 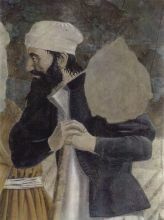 His painting was characterized by its serene humanism and its use of geometric forms, particularly in relation to perspective and foreshortening.